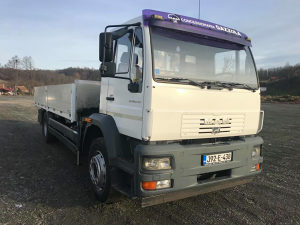 MAN 18.250, 2003 G.P 180 KW ! NOSIVOST DIZALICE 3 TONE, DUŽINA SANDUKA 6.20 . KAMION JE U PERFEKTNOM STANJU, TEK UVEZEN. CIJENA: GORE NAVEDENA CIJENA + PDV ! VIŠE INFORMACIJA NA BROJ 065/529-208 !